Founded in 1988 by R.W. "Hoppy" Whitaker, the name Whitaker Sales has become synonymous with SERVICE in the upholstered furniture manufacturing industry. Our experienced staff understands what you need to be successful and work hard to make sure we are a partner in that success. We understand the importance of providing "just in time" delivery….freeing up dollars for your company, and giving you the peace of mind that comes with knowing that "When you need it, we deliver." 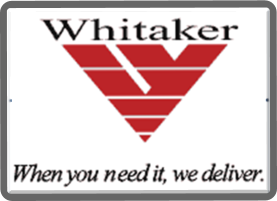 - SINCE 1988 Working with the best manufacturer's in the business and managing inventory from around the world, Whitaker Sales has the experience and knowledge to bring you the upholstered furniture manufacturing components you need….with the service that we are proud to provide.